Top rate freelance CAD, Architectural and Multi Disciplined Designer and I have licensed AutoCAD, Microstation and Vectorwork CAD software in my home based office. I also run an...Read moreTop rate freelance CAD, Architectural and Multi Disciplined Designer and I have licensed AutoCAD, Microstation and Vectorwork CAD software in my home based office. I also run an Architectural CAD and design service. 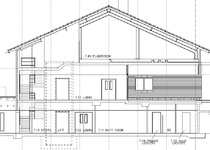 For the past 5 years I have provided a CAD service producing 2D drawings and 3D CAD modelling working from home and for 10 years between 1993 and 2003 I ran my own company offering a CAD and Survey service. Design 9 UK Ltd. 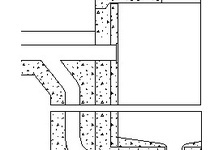 I am an expert Microstation user and was previously CAD Manager for Atkins and Faber Maunsell. 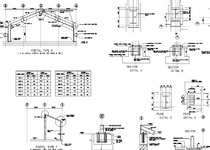 I am a fully trained and qualified board and CAD Draughtsman. I was employed by a survey company PCA as a Microstation CAD Consultant. I can use Microstation basic. 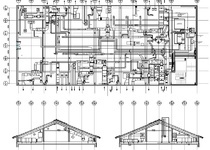 I am also an expert AutoCAD user and have used most packages up to AutoCAD 2011. I have vast experience in Measured Surveying, Building Services Surveying and Maintenance Surveying spanning over 25 years. I work at home and provide a highly professional service. I have had many prestigious clients and can provide excellent references to help prove my ability to provide a prompt desirable service based from my office. I am qualified in Building Studies, CAD, Art and Design and Interior Design. I have worked in Architecture CAD, Building Services CAD, Civils and Structure CAD, Rail Infrastructure CAD and Engineering CAD. 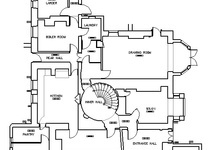 I worked as an Architectural CAD Technician for a practice for over 5 years on Home Office projects such as prison refurbs, so I also offer my services in the Architectural field. I have also worked on Building Regs and Planning. I am a published author and poet and offer writing skills such as reports, articles, features, poetry. I can do technical writing about building/construction and humerous writing. I can also do the illustrations for these if needed. Summary: I have well over 25 years experience working in building design/CAD doing Architecture, Building Services, Civil, Engineering,Structural and Surveying drawings for clients such as Atkins. I have over 30 years experience in using CAD first gained using Intergraph Software in 1980. Initially trained as a Design Engineer/Draughtsman by GEC. Large amount of M&E experience including Lighting Design. A huge amount of Architectural experience, even working on the Bomber Command Memorial and Olympic Games Venues, as well as a vast array of smaller projects all over the country. I have done 3D modelling for Crossrail of Whitechapel Underground Station, concourses and platforms and of the roof at Earls Court Station. for Atkins. I am an expert user in Microstation V8i and AutoCAD, as well as Revit. I have also worked in Kitchen Design. I have worked in Measured, Electrical Installation, Maintenance and Condition (snagging) surveying. I have Building Regs and Planning experience. I am a published author and poet and have written reports for sport, technical articles for buildings I have been involved in constructing, humerous poetry and stories and features for brochures and leaflets. I have previously written in my spare time when I am not working. 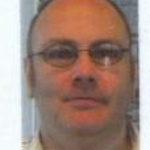 Ex CAD Manager at Atkins and also at Fabers. Truly multi-disciplined with vast experience. CAD is the prefered design tool. I am a Fellow at Faculty of Building (Forum for the Built Environment). 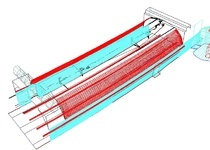 Description: Plantroom redrawn and surveyed to include all new equipment. Other drawing were done between 2008-06-03 and 2010-01-29. Description: Mechanical symbols such as VAV,s; IV's, CAV's, heater batteries and VCD's added to new drawings as per mark-up's. Trained as a Draughtsman by GEC and hold qualifications. CAD training AutoCAD and Microstation including ACAD R10,R11,R12, 2006, 2007, 2008, 2009, 2011, LT and 3D. Microstation J, Powerdraft, V5, V6, V7, V8, V8i, VBA, XM and 3D. Solidworks, 3ds and SketchUp. Vectorworks 2008. Trained in Microsoft Word, Excel and Publisher. Ongoing work designing furniture for psychiatric hospital bedrooms for joinery co.
Good drawing work quickly done. It was a pleasure to work on something so interesting. Extreemly prompt and reliable service, very quick to grasp concept of the project. Prompt, efficient service. Perfect ! Excellent job, very quick turn around. You have been excellent clients and it would be a pleasure to do your work again if you ever need something done. Roy has been an absolute pleasure to work with. He is very knowledgeable, diligent, quick working and good communication through email. I couldn't recommend him highly enough. If we ever need anything like this done again I would go to Roy straight away. It was a pleasure to do your work and help the way I could. An absolute pleasure to work on this type of project.